Cedar Row has been in existence since 1999 and is one of the oldest farm sanctuaries in Ontario. Siobhan and Peter Poole run the sanctuary with help from with their two children Cicada and Patrick as well as a group of dedicated volunteers. Hundreds of animals have been rescued over the years, each just as special of the other. 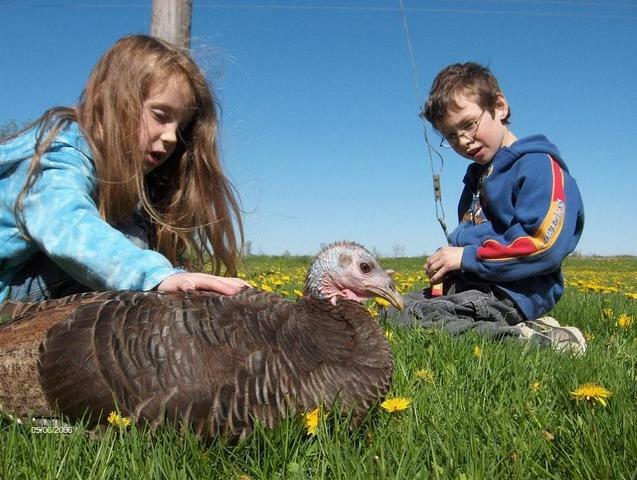 Prior to establishing Cedar Row, Siobhan and Pete worked with wildlife rescue and purchased the sanctuary property with intention to continue this work. Soon after purchasing the farm the Poole’s heard of many local animal rescue groups looking for homes to place rescued farm animals. Soon many animals in need made their way to Cedar Row changing a hobby to a full-time focus for the Poole family. Cedar Row is situated within a farming community, predominately pork and dairy. Many within the community initially saw the effort of the Poole’s as a “waste of time”. Despite the judgements, Cedar Row continued to provide loving homes for rescued animals. They continued to educate and inspire people by allowing them to meet animals living in a natural and peaceful environment. Although there are still differences of opinions, the relationship with the surrounding community has positively changed over the years. Local businesses now host fundraisers for the sanctuary. 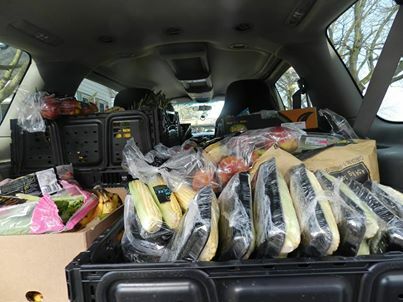 The local grocery store generously donates their unsellable fruit and vegetables daily, and Tavistock Vet clinic works closely to maintain the health of the animals at Cedar Row. Cedar row has saved many animals from slaughter, and helped many humans make the connection to the animals that end up in the food system. The sanctuary helps show that there is no difference between a piglet who enjoys having her belly rubbed, to a piglet that ends up being slaughtered for bacon. The Pooles believe if one spends time with the rescued animals at Cedar Row they will be forever changed. Cedar Row Farm Sanctuary has no paid employees. Siobhan, Peter, Patrick and Cicada, along with a group of dedicated volunteers work endlessly on chores, feeding animals, organizing special events and work visits, raising funds, as well as maintaining social media and communication. All donations received go directly to the rescue and care of all animals at Cedar Row Farm Sanctuary. 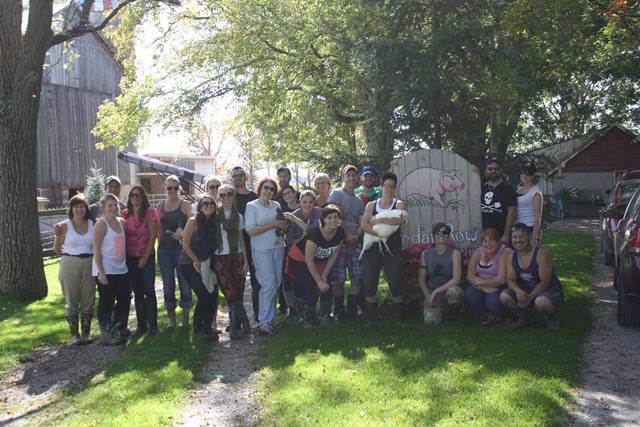 Running a sanctuary is a labour of love. Work is required seven days a week, 365 days a year. Sanctuary life is not easy but it is rewarding knowing a difference is being made for the animals.